Clinics and hospitals require uninterruptible power systems and reliable tools to ensure that power is continuously provided without interruption. Even in the case of total electrical power outages from whatever cause, electrical power is essential, and with a reliable UPS, power will still be distributed throughout the facility without compromise. Despite major advancement in technology, there continues to be power sags and surges both of which can damage valuable computer equipment and medical imaging devices and may be responsible for halting medical procedures. This is particularly true in medical facilities where there has been a growing use of electronics and an increasing demand on power supplies to run medical equipment. To heighten the problem, oftentimes medical settings are operating out of buildings that have an older electrical infrastructure. This results in more frequent power failures, spikes, voltage drops and brown outs which can damage the costly vital medical equipment and impact patient safety. For this reason, it is essential to plan and deploy a robust solution for potential power interruptions. Aside from installing generators, the installation of uninterruptible power systems in the facility plays a major role in any well-designed power protection architecture assuring that medical data from medical records to lab results and critical care equipment are protected from all types of power issues. Mission critical medical equipment often requires clean, conditioned power protection from power surges and from uninterrupted power during power outages. Power outages can be troublesome even if they last only seconds or fraction of seconds. In fact, losing power for a matter of split seconds can trigger many untoward events including causing medical equipment to be unavailable for minutes to hours. But it is not just power outages that cause problems. Having reliable power quality along with voltage regulation and harmonic mitigation are essential to sustaining both the reliability of the equipment and the life of the equipment. Although generators are effective in sustaining proper systems operation in the event of long utility outages, a UPS can bridge the power time gap between the actual loss of electrical power and the generator assuming the power supply role. One may consider the UPS to be a device that provides backup power when there is failure in the utility power allowing the system to shut down gracefully while avoiding any data loss and very importantly sustaining electrical power long enough to keep the needed loads operational until the generator is back online. Diagnostic imaging systems such as Ultrasound, MRI, CT or X-ray, are now used both within and outside of hospitals. The imaging equipment exerts substantial power demands and has unique power requirements. Although imaging equipment when idle uses very little power when scanning, the power demands spike up quickly. Any abrupt power fluctuations and outages from the utility company, combined varying power demands can cause damage to the machine’s electronics. Uninterruptible power systems help prevent these undesirable outcomes, equipment breakdowns and losses. However, imaging equipment is not the only area in which reliable power protection and management is necessary in the healthcare industry. 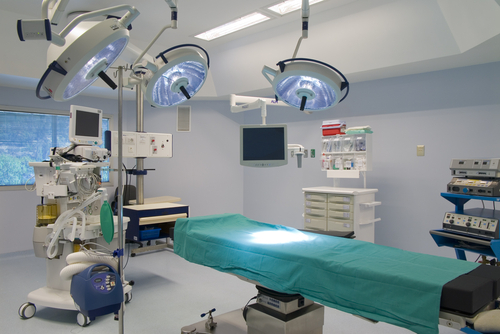 Other areas in which power protection is as vital include clinical lab equipment that produces and stores medical research and processes such as biopsies; medical gas monitoring systems; medical and vaccine refrigerators and freezers; life support equipment and monitors; surgical equipment and operating rooms; home healthcare equipment such as CPAP units and O2 concentrators. STACO ENERGY has a long history of providing uninterruptible power systems in the medical field both with seismic and OSHPD certification. STACO ENERGY PRODUCTS offers power conditioning equipment specifically to protect all types of imaging equipment as X-Ray, CAT scan and MRI from electrical damage. Available both in single and three phase interfaces, these UPS’s provide complete protection at a low cost and with a small foot print. Have any questions regarding any power conditioning equipment? Call us at Peninsula Technical Sales 650-965-3636 or e-mail us at sales@pentech.com. Please visit our web site at www.pentech.com.